If you are immediately turned off by the idea of someone selling you technology or of yourself as a salesperson, you need to read this post. 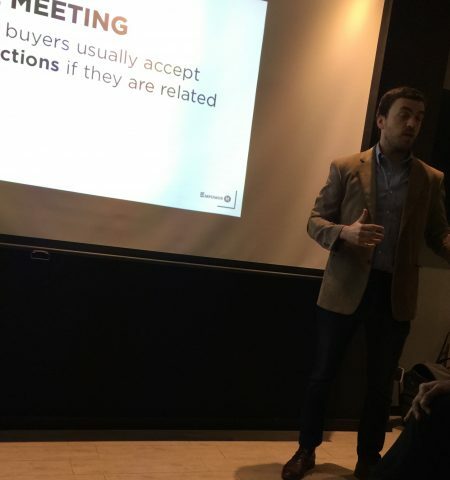 Thanks to Startup Chile, I spent Friday morning learning about business to enterprise sales from Nicolas Elizarraga, an expert on tech sales in Latin America . Although the focus was on business in Latin America, most of it applies to education in the U.S. in my experience. If you don’t think this is the case, I’d appreciate hearing your opinion in the comments. Inspired by Nicolas’ results, I’m going to be doing a research study on educational technology decision-making in the U.S. and Latin America, so if we’re connected on LinkedIn or Twitter and you get a request from me to interview you, you’ll know why. Or maybe I just think you’re awesome and miss you. It’s probably for the research, though. Okay, on to what I learned, in no particular order. Nicolas focused on Chief Information Officer (CIO) but I think it just applies in general and all of us probably fall in both of these categories at different times or for different products. Proactive: These people are on the cutting edge. They are looking for the next new thing to make their organization better. They have some time to research and explore new technologies. These people are your pilot sites and beta testers. Reactive: These people find out their organization is going to be using VR and all of a sudden, holy crap have to buy some equipment or hire a VR developer and they are only used to buying Chromebooks or hiring PHP developers. Now they have to get up to speed quickly and make a decision. TRADITIONAL APPROACH “Let’s get together and I will show you the value proposition for your company” maybe 3% of the people will respond, if you happen to be lucky and hit them right when they are at that spot where they need information. (That’s what Nicolas said but I think the figure in the US is much lower). EDUCATIONAL APPROACH No one in any tech field feels as if they have enough time to keep up with the latest trends and new technologies. “Let me tell you how you need to use our company’s products”, offer to meet for coffee and talk about how people in industry X are using VR or whatever the latest buzzword is. While I think the second approach would yield a lot more responses, I still think it would be low unless I already had some connection with the person, that is, at least knew them on LinkedIn or Twitter or had met them briefly at a conference. For me, what I think would be most successful is an event – a day or afternoon on machine learning or artificial intelligence or augmented reality in the classroom or whatever. In retrospect, I think that is exactly what we did do with the two Chileconvalley Education events and it worked. 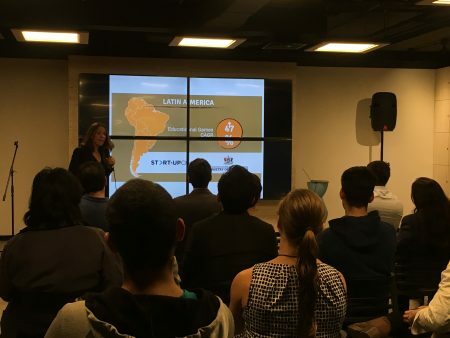 If you don’t know, our company, along with 6 others, co-sponsored two Ed Tech meet-ups in Santiago. These were attended by over 100 people and there is no way I would have met 100 people in Chile who are interested in education just by calling them up. I’m considering doing a webinar or an online conference. Lots of people do webinars but I personally don’t watch them all that often. Anyway…there was a lot more to this discussion and you can read more on the most valuable things I learned in Chile here. For now, though, I’m taking the afternoon off. My plan is to rent a car and drive outside of the city to see some of Chile. Two things I have never done. Well, I’ve rented and driven a car, just not in Chile. I’ll let you know how it goes.